Is Sales Dead? 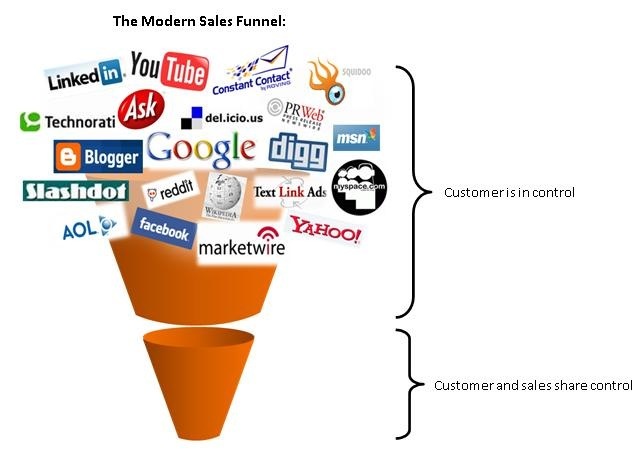 Is Marketing the New Sales? As a sales and marketing professional for an enterprise software company, I deal in the realm of both sales and marketing on a daily basis. Recently sales has come under tremendous pressure and is continuously being pushed further down the sales cycle. Let’s explore some of these dynamics. In business-to-business operations, sales has always been dominant over marketing. While marketing was used for branding purposes and generating a buzz and some general interest, it was rarely likely to bring executives to the table. Salespeople, combined with some good old fashioned elbow-grease, were vital in schmoozing contacts to close sales as well as actively seeking out new leads. Fast forward to today and the opposite is true. No one likes to take cold calls anymore; executives have little patience for sales people and grow more sceptical of them everyday. Instead, inbound marketing is relied upon to bring buyers to sellers. Buyers feel at ease knowing that they are not being chased after – instead, they actively seek out the products they desire based on information they found online. Although I do not have any stats readily available, the anecdotal evidence I have experienced as a B2B sales and marketing professional, is that sales are much easier to close when they have found you. The logic itself is simple, as people tend to prefer to be the hunter rather than the hunted. Your products and services are also likely to be a better fit if they have done their research and sought you out, rather than you trying to make them fit your mould. The change has huge implications for both sales people and marketers. Marketing, but not necessarily advertising, has no where to go but up. Sales on the other hand may be a dying profession. It will always be needed to close-off a sale but salespeople will likely play a smaller role until later on in the sales cycle. I will continue to sell with vigour, but will be spending the majority of my day trying to increase our visibility online so that leads can come to us. A recent article in Canadian Business, Death of the Salesman, brings these points home. Next postWhy do we celebrate scrooge in the name of capitalism? I can definitely relate to this !! Great read!